A sight too cute to resist! 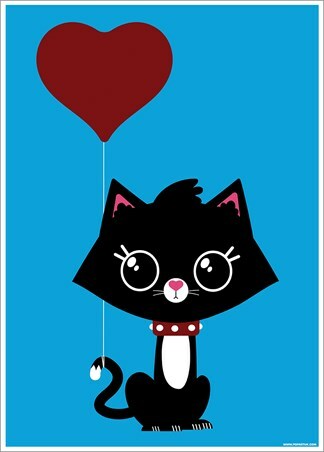 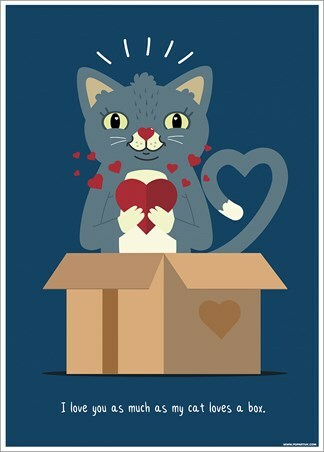 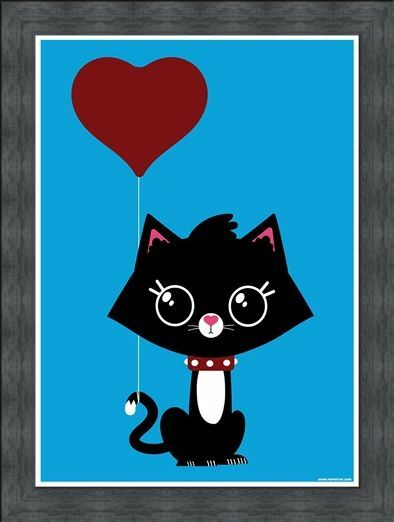 This adorable cat poster is sure to warm your heart whether you're a crazy cat lover or not. With a red heart balloon floating beside the cuddly kitty, he is probably the most purrrfect Valentines gift there could ever be! 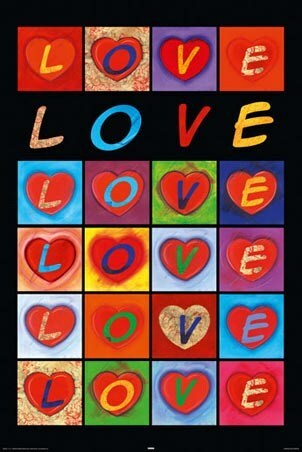 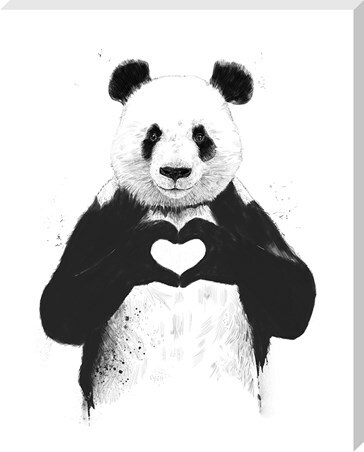 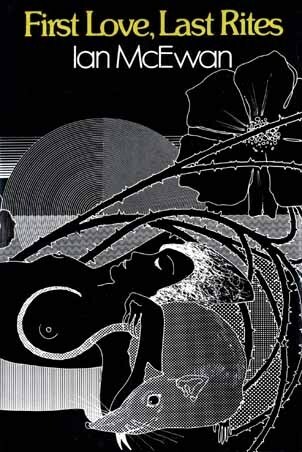 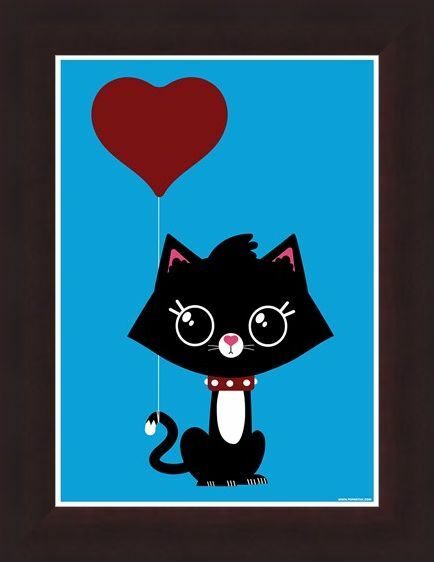 Bursting with love against a deep blue background, this mini poster is the way to his or her affection! 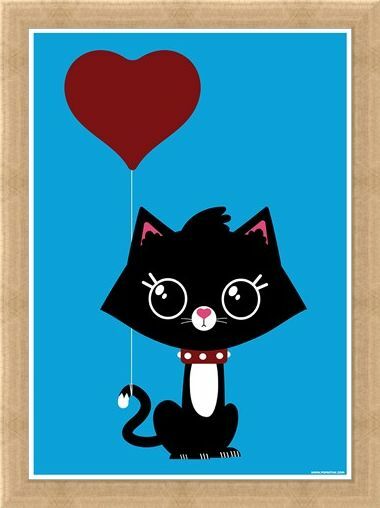 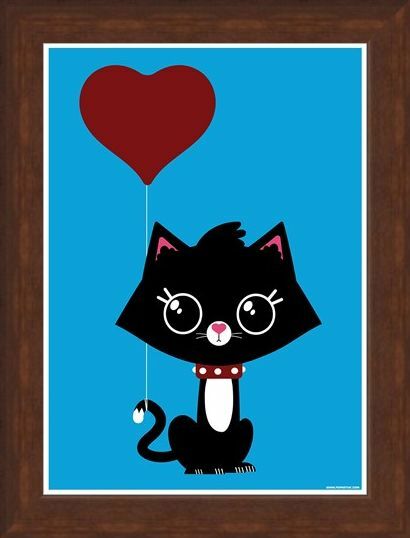 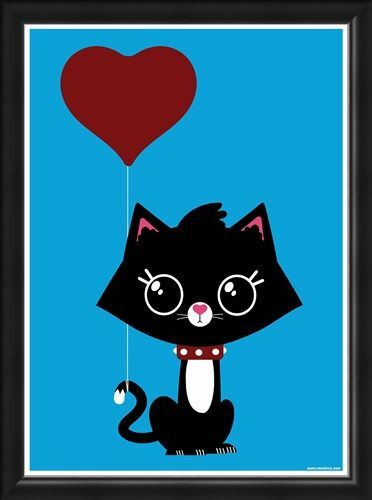 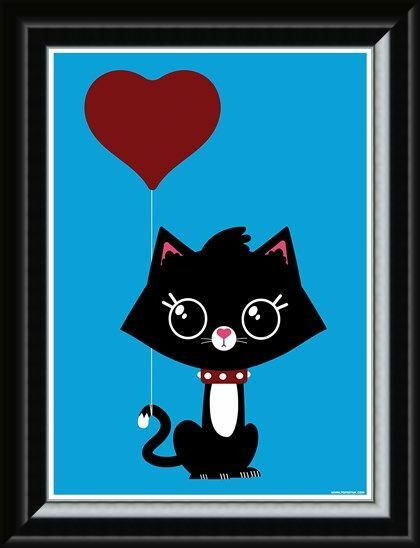 High quality, framed Love Cat, Love Is Ballooning mini poster with a bespoke frame by our custom framing service.